After keeping a low-profile during her pregnancy last year, the British songstress will step out to perform at the 85th Academy Awards on Feb. 24. She will sing "Skyfall," the theme from the 2012 James Bond film, which is in the running for best original song. It will mark the first time Adele will have performed the track anywhere live -- and is also her first TV performance since the 2012 Grammy Awards. "It's an honor to be nominated and terrifyingly wonderful to be singing in front of people who have captured my imagination over and over again," Adele said in a statement. "It's something I've never experienced and probably only ever will once!" "Skyfall" is the first Bond theme song to open in Billboard's Top 10. It's also the first James Bond theme to be nominated for an Oscar since "For Your Eyes Only" in 1981. "Skyfall" is up against "Everybody Needs a Best Friend" from "Ted"; "Pi's Lullaby" from "Life of Pi"; "Before My Time" from "Chasing Ice"; and "Suddenly" from "Les Miserables." The 24-year-old singer beat out the competition at the recent Golden Globe Awards, walking away with best original song for "Skyfall." During her touching acceptance speech, Adele thanked her boyfriend, Simon Konecki, who's also the father of her newborn baby. 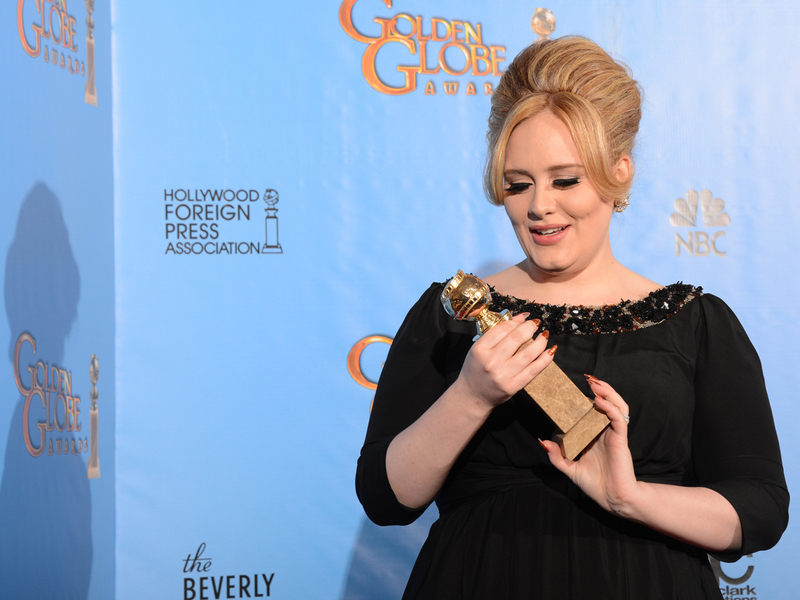 While on the red carpet, Adele said she loved motherhood but kept mum on the name of her son.